Eminent Naxalite and general secretary of the Provincial Central Committee (PCC) of the CPI (ML), Vaskar Nandy passed away on Friday in a hospital at Jalpaiguri in West Bengal. He was 80. 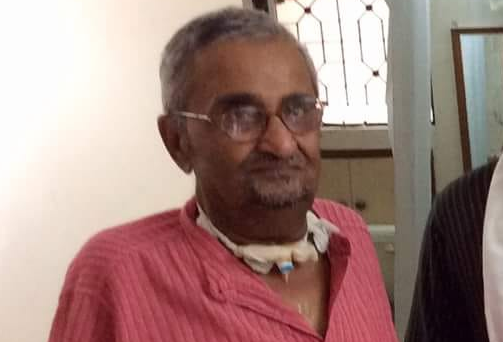 Nandy, the man who was in charge of the Naxalite movement in Assam in 70’s, was suffering from Cancer for the last one and a half year, CPI(ML) assistant general secretary Subhas Deb said in a statement. Born on April 5, 1938, Nandy, who obtained a chemical engineering degree from London University, went to the US to pursue his post-graduation in sociology from Columbia University. He also taught sociology in Columbia University before joining the Naxalite movement in 1967. Nandy had joined the Naxalite movement after he came into contact with Charu Majumdar, the legendary father figure of the Naxalite movement. The veteran communist leader gave up his prestigious job, and even his family in USA, to dedicate and devote to the cause of the movement. He became a whole-timer of the party and never gone back to USA. Nady took charge of the Naxalite movement in Assam as deputed by Charu Majumdar. When the murder of Charu Mazumdar and killing of thousands of Naxalites led to the disintegration CPI (ML), Nandy reorganised the movement in Assam, Tripura and parts of Bihar and Bengal by forming the unity committee. “As the main ideologue of the PCC, Nandy initiated the debate in the Naxal movement favouring mass movement and mass organisations along with armed action and organisations,” said Deb. “The Naxalite movement was perhaps the only proper political movement in the country since Independence which, if successful, could have changed the country’s history and economics,” Nandy once said regrading movement. Deb said that while he had opposed Assamese Chauvinism and Bodo ethnic cleansing massacres against minorities, tribals and Adivasi’s of Assam, he was equally determined and vociferous in his opposition to Bengali Chauvinism. Elected general secretary of the party in its all India Congress in November, 2017, Nady’s death is mourned by various working class organisations besides CPI (ML).